Some friends of ours mentioned a diet to Alex that might help with the tendonitis in his hands. 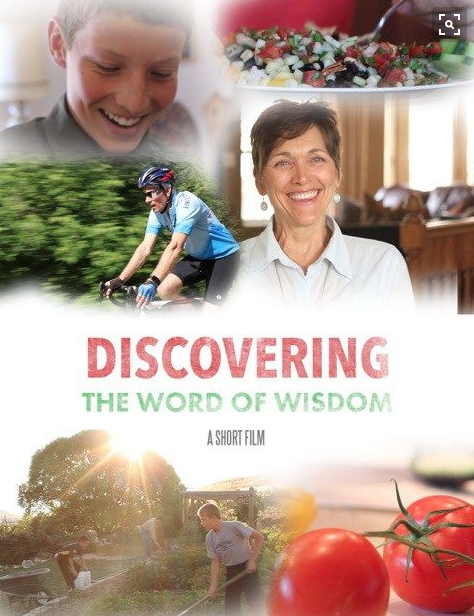 It’s based off the book, “Discovering the Word of Wisdom” which to those non-LDS readers out there, is life-style based doctrine that was revealed to Joseph Smith through the 89th section of the Doctrine and Covenants. The Word of Wisdom is why as a member of the Church of Jesus Christ of Latter-day Saints I don’t drink alcohol, coffee or strong teas. Because of this revelation I also don’t smoke or use recreational drugs. The Word of Wisdom also encourages eating fruits and vegetables in season and partaking of meat sparingly. Not that eating a strawberry in the winter is sinful, or that a burger can kill you, but we are promised that if we partake of food in this way, we will be healthy and strong. Interestingly enough, this spiritual guidance towards how we should treat our physical bodies, falls in line with many scientific discoveries and recommendations towards eating healthy, which is another reason why our friends thought the book “Discovering the Word of Wisdom” and actually trying a little harder to follow the Word of Wisdom might help with Alex’s hand pain. To be quite frank, sometimes all the garbage we fill our bodies with (like the two handfuls of keebler fudge cookies I ate today) can really mess us up and lead to symptoms from never ending back pain to swollen tendons that we’d never think were so connected to what we eat. So to keep a long story short, we’re trying a version of the Word of Wisdom diet by eating vegan meals during the week and taking breaks now and then for meat and cheese on the weekends and at social gatherings. It’s not something I believe everyone has to do, but for us it’s working and I’m feeling better and better everyday. Not that I had any ailments before, but I’ve noticed that I don’t crave food as much, my body is starting to feel satisfied and maybe that’s because it’s finally getting what it needs: essential vitamins from fruits and vegetables that I can’t get anywhere else (besides multivitamins, but lets be honest, those make most people, including me, sick). I love the vegan approach to this mostly because it’s introducing me to new flavors and recipes and better ways to eat plants. I’m definitely NOT a raw carrots kind of girl and plain cauliflower can be soooo boring. Also I hate ranch on raw veggies (that stuff’s meant for pizza duh…). But turn my veggies into a stir fry or pasta dish and you’ll have me running to the table. If you don’t believe me, give it shot! I challenge you to try at least 3 vegan recipes over the next month. They can be for any meal: dessert, lunch, dinner (don’t tell me you haven’t been eyeing that banana, peanut butter, cacao shake above. CACAO=PURE CHOCOLATE). Make a dish, try it and tell me about it in the comments! Not sure where to start? 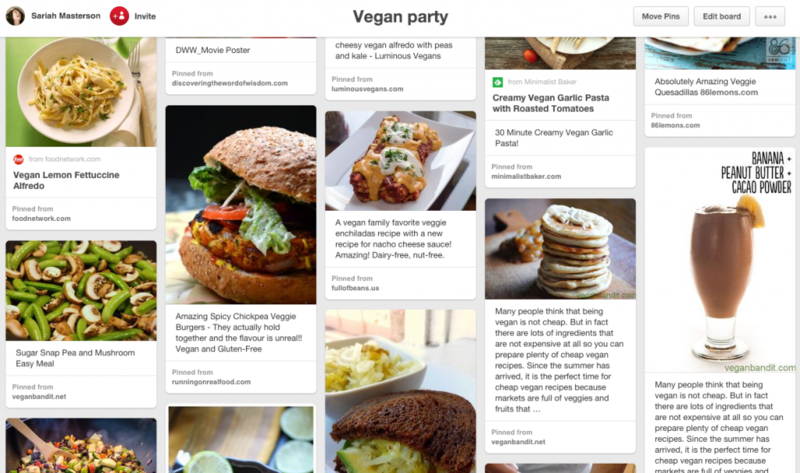 Check out my “Vegan Party” Pinterest board. I pin tons of recipes and have tried most of them. Oh and one last thing! I won’t deny that the idea of eating vegan food still weirds me out. Especially with the stereotypes about vegan food we’re all familiar with: “It’s nasty” “Boring” “But where’s the cheese?!! !” To help me overcome my very often false assumption that something is going to be gross before I even try it, I focus on referring to what I’m making by familiar names instead of vegan names. This isn’t a vegan rueben sandwich, it’s an avocado rueben! 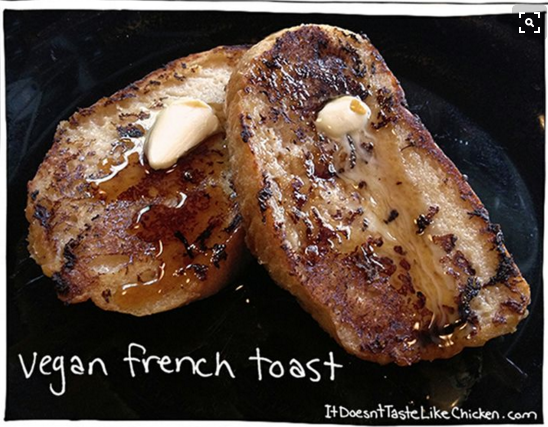 We’re not having vegan french toast for breakfast, it’s just french toast or coconut banana french toast. PS: Acai bowls are TOTALLY VEGAN! !